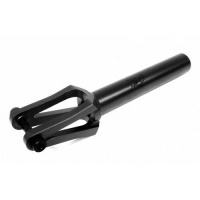 We stock Apex, Tilt, Supremacy, Revolution Supply Co, Blazer, Blunt, District, Drone, Elite, Ethic, Grit, MADD, Proto and Sacrifice. 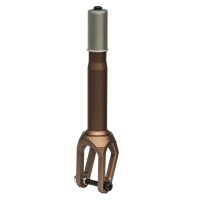 Forks come in various styles and are built to work with varying compression systems (HIC / IHC/ ICS / SCS). 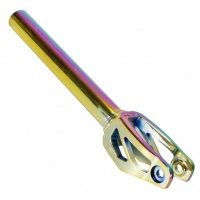 If you are unsure what forks you need for your scooter or are building a custom scooter then give us a call 01793 523255. 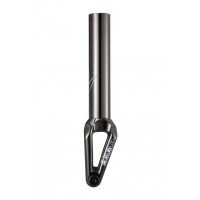 Featuring a solid one piece design, the Apex Quantum fork is machined from 2000 series billet aircraft aluminium making it one lightweight, super strong fork. 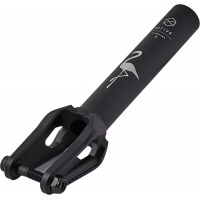 Costructed from high grade aluminium, the Rebellion Forks are extremely lightweight yet superiorly strong. 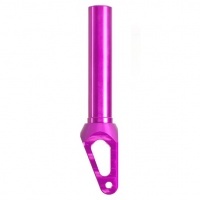 Featuring an intergrated crown race and fitting 120mm up to wheels. 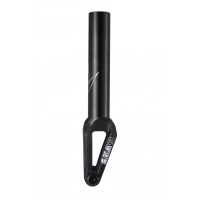 The Blunt SOB Fork now in it's third version. 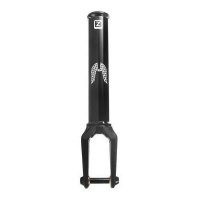 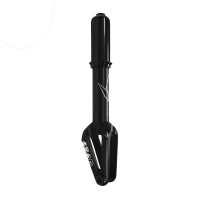 Always popular chunkier strong forks are now in standard size for SCS an HIC compression giving better compatibility. 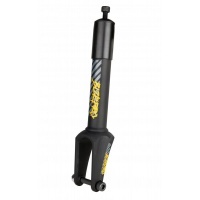 The Blunt SOB Fork now in it's third version. 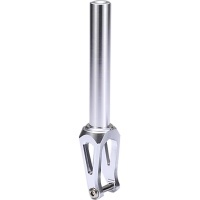 Polished finish always popular chunkier strong forks are now in standard size for SCS an HIC compression giving better compatibility. 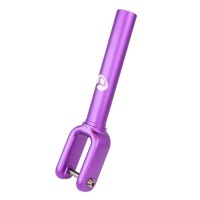 The Purple Grit forks add a touch of class to your custom scooter. 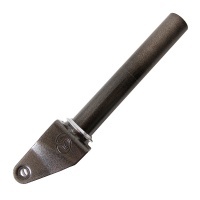 Add your ICS compression kit and star nut and you're good to go. 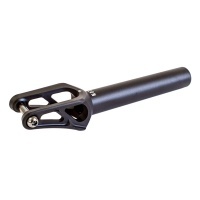 The lightweight alternative to almost any MGP fork. 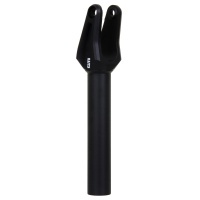 As standard on the VX8 Team edition the Mini HIC (IHC) Fitting up to 120mm wheels these forks are an ideal replacement. 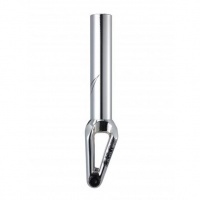 The Chrome MADD MFX Affray Fork is perfect for fitting alloy bars on your MADD Scooter Deck. 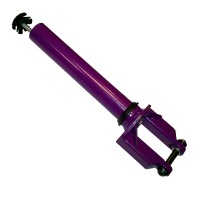 Mini HIC compression is built in and they fit up to 120mm wheels. 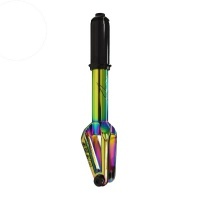 The Neo Chrome MADD MFX Affray Fork is as bling as it is tough! 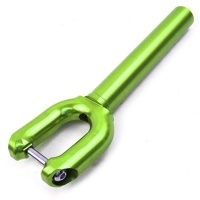 Ideal for fitting alloy bars on your MADD Scooter Deck. 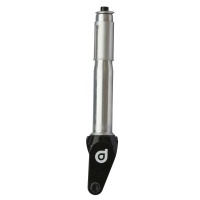 Mini HIC compression and up to 120mm wheels! 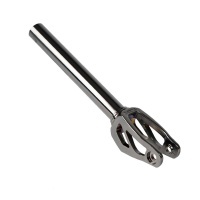 These are super strong forks designed for SCS or for oversized HIC compression. 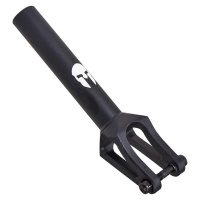 Block design and strong the Trojan forks suit many pro scooter setups. 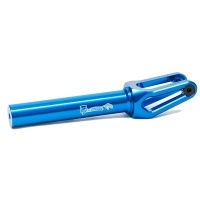 The Sculpted 120 Forks are forged, machined, and internally lightened. 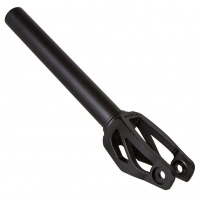 Designed carefully with the help of a 3d Software, the tomahawk forks offers excellent strength, styling, and lightweight capabilities. 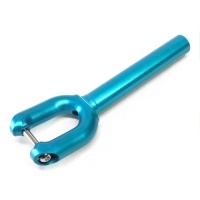 A CNC machined precision scooter fork. One of the strongest forks out there with a removable SCS nut. 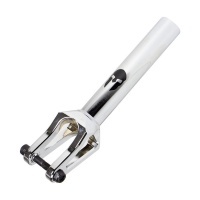 Perfect for any custom scooter. 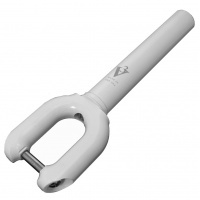 This fork is going to take abuse. 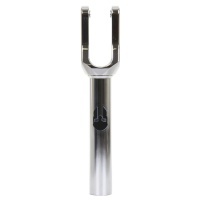 A precision CNC machined scooter fork. One of the most resilient designs and comes with an scs bolt. 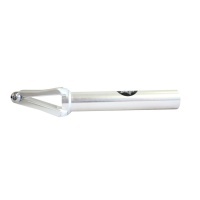 Perfect for any custom build and, takes alot of abuse. 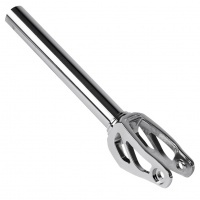 The VertX SMX V3 scooter fork in chrome is a high quality CNC machined scooter fork which is extremely popular on custom scooters. 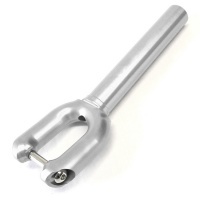 We often use these forks on SCS setups. 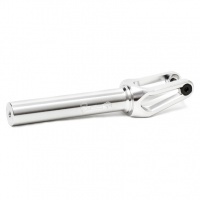 Blunt are back with the V2 CNC IHC Fork, this one is in a stunning silver colour. This fork comes with everything you need to be riding away in no time. 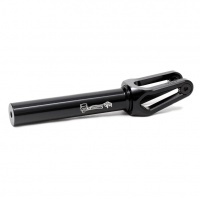 The Blunt SOB Fork now in it's third version. 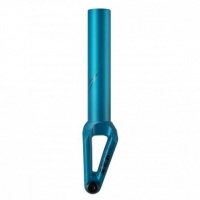 The Teal looks awesome and now in standard size for SCS an HIC compression giving better compatibility. 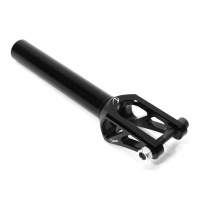 The Black MADD MFX Affray Fork is perfect for fitting alloy bars on your MADD Scooter Deck. 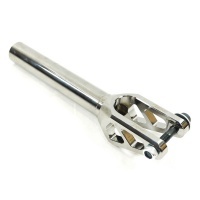 Mini HIC compression is built in and they fit up to 120mm wheels. 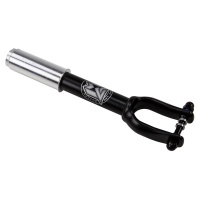 The Flemongo II Pro Black Scooter Fork, Specifically designed by Native pro Rider Nathan Fleming. 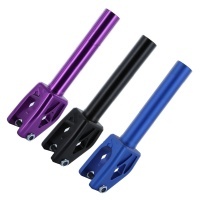 these are a great fork at an affordable price.